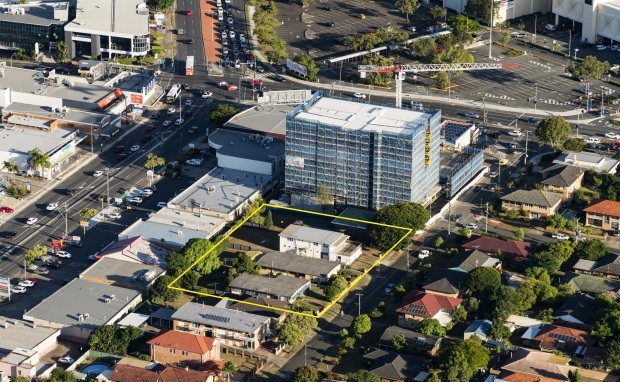 Jensen Bowers is excited to be part of a new $96 million mixed-use development comprising twin 15 storey towers at Upper Mt Gravatt in Brisbane. Developer, Raykong Property, have proposed a 174 apartment complex on a 3154sqm residential parcel at 7-15 Cremin Street. If approved, the project’s towers will be the highest in Upper Mt Gravatt and will offer sweeping views of the surrounding area and east to Moreton Bay. The proposed towers are ideally located to major retail, education, employment and transport hubs, and will incorporate retail and commercial precincts. The development will also feature rooftop communal facilities for residents including a swimming pool, outdoor cinema, private dining room and a barbecue area, as well as a shared basement and podium level. Brisbane City Council is expected to make a decision on Raykong’s development application within two to four weeks. Do you need a Surveyor, Town Planner or Development Advisor for your next development? Call (07) 3319 4933 and speak with one of our experienced surveyors and town planners today about your requirements.